THIS 2-DAY WORKSHOP EXPLORES HOW TO IMPLEMENT THE FUNDAMENTALS LAID OUT IN OUR SMART DISTRIBUTION AUTOMATION COURSE, USING EATON CYMDIST SOFTWARE. 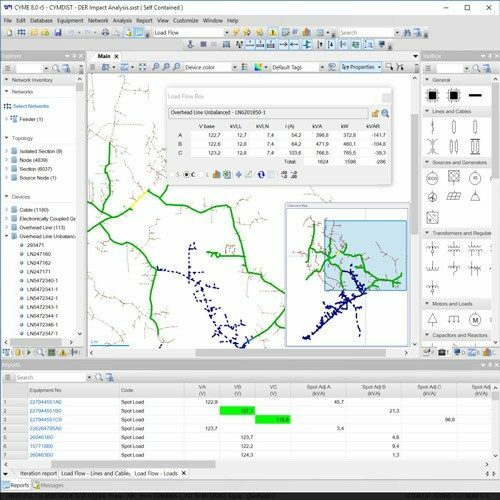 This course provides students with hands-on training using CYME distribution system software tool (CYMDIST) in order to analyze evolving distribution systems. CYMDIST is a powerful tool used by most power utilities and consultant firms in Canada and worldwide to model power distribution systems. The software is superior in addressing the simulation needs for capacity, contingency, power quality, protection, reliability, and optimization analyses in evolving distribution systems. We can present this Distribution Networks Analysis Workshop Using CYMDIST Course to your electrical engineering and maintenance staff, on your premises, tailored to your specific equipment and requirements. We are ready to help design this program for you. Click on the link below to request a FREE quotation.